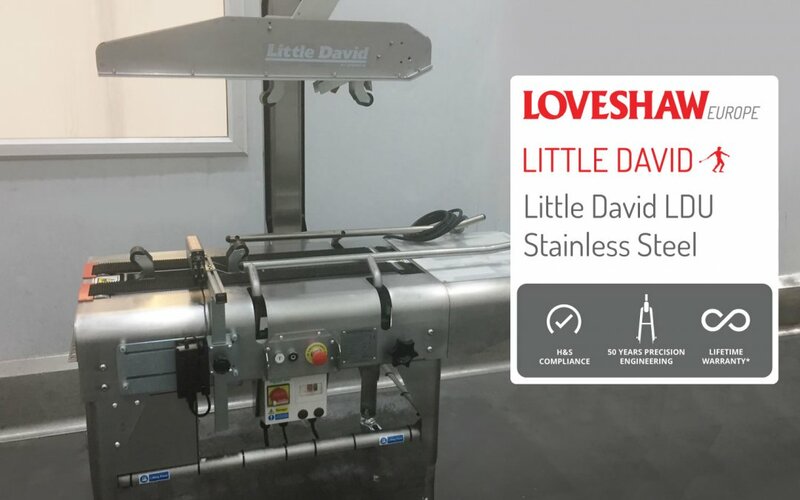 This is one of three bespoke stainless steel, corrosive resistant, Little David LDU case sealing machines, delivered to a high quality sausage producer in Staffordshire. Our client previously had competitor machines that had rusted due to the damp manufacturing environment, and looked to Loveshaw Europe for our renowned reliability and robustly engineered case sealing machines. Our machines are designed and manufactured to deliver reliable and consistent sealing in a wide variety of environments. Our end of line case sealers and case erectors set the industry standard over 50 years ago, and are still setting the standard today. All new Loveshaw designed Pallet Wrapper, brings new levels of durability with the latest advanced head performance. The Microjet Large Character Case Coder neatly prints trace-ability information along the side of your box. Sign up to be the first to hear about consumable offers and product news.